Pricing and printable feature sheets inside! 6″ taller than our regular DEEP models! Featuring an Extra Tall viewing area that is 18″ in height! That is 6″ taller than our other Panorama models. 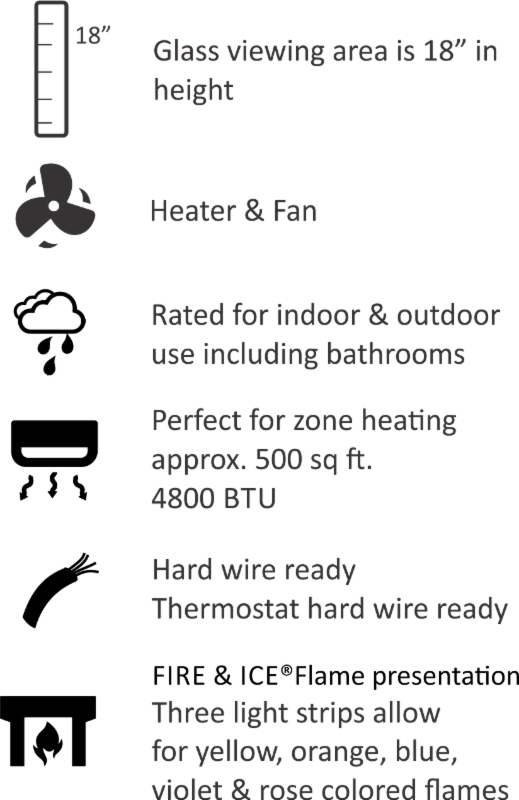 Available in 5 sizes, you’ll find a unit that is perfect for any space in your home, business or commercial space. 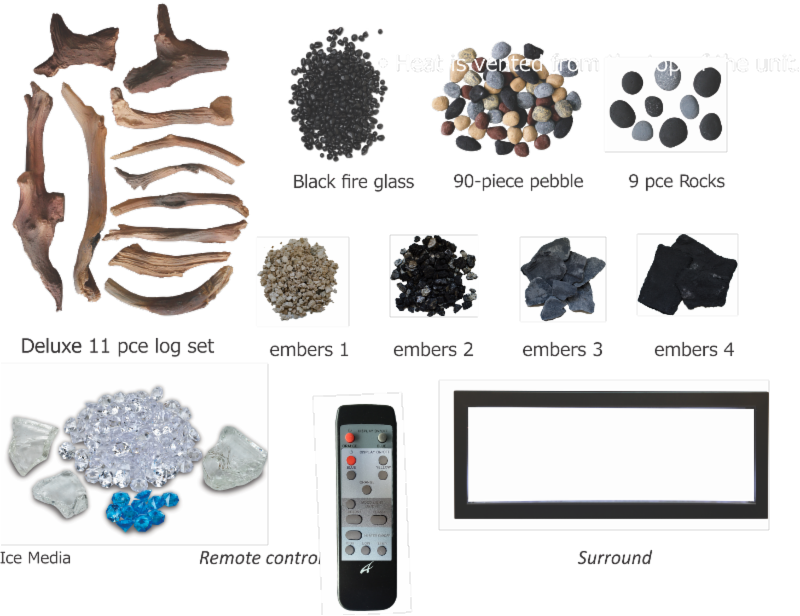 The Extra Tall model has a deep media tray and comes standard with an incredible 11 piece log set, ICE media, pebbles, stones, black glass and vermiculite embers allowing consumers to completely customize the look of their fireplace. Built with Amantii’s FIRE & ICE®Flame presentation made of three color LED light strips allowing for multicolor flame options. With just a click of the included remote control, choose from blue, rose, violet, yellow or orange colored flames. 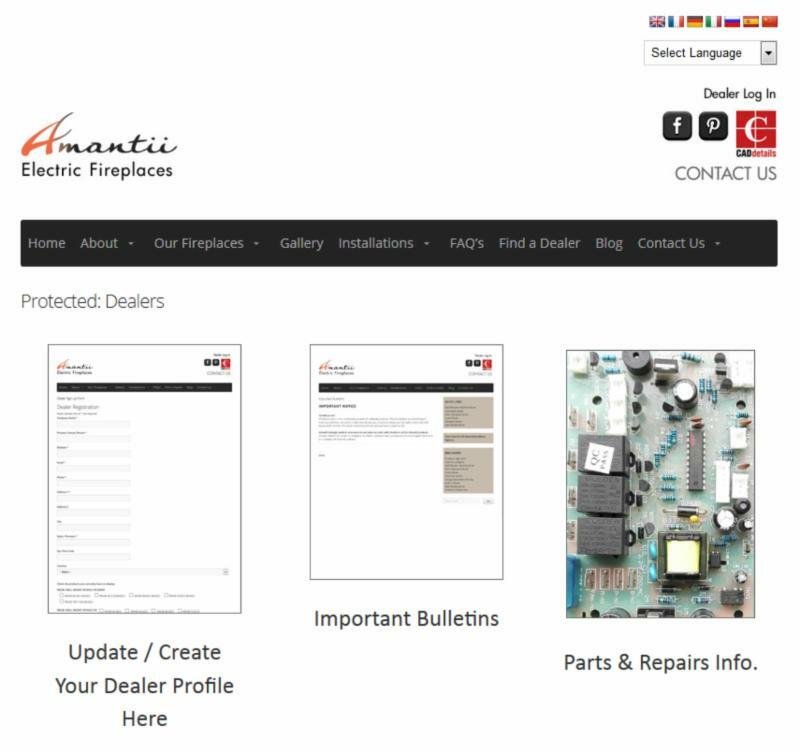 NEW AMANTII AND SIERRA FLAME PARTS WEBSITE IS NOW LIVE! Our parts store is now online! 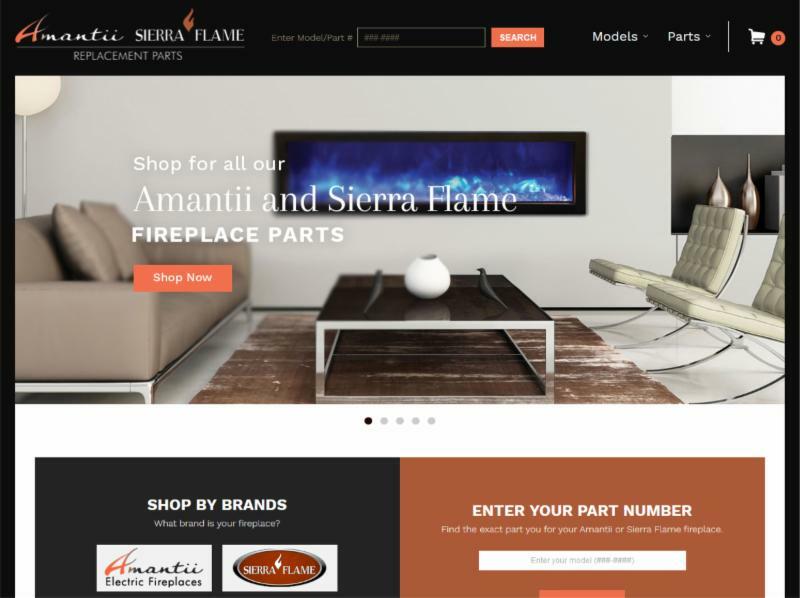 You and your customers can now easily search and locate parts for their Amantii and Sierra Flame fireplaces.If the part is under warranty, please have your serial number, dealer/store name and date of purchase ready. Fill out our simple form so we can authorize the part for no charge. Shipping/handling costs are extra regardless of warranty coverage. For added convenience, you can now update your information, place orders, locate parts lists, repair guides, view important bulletins and more! 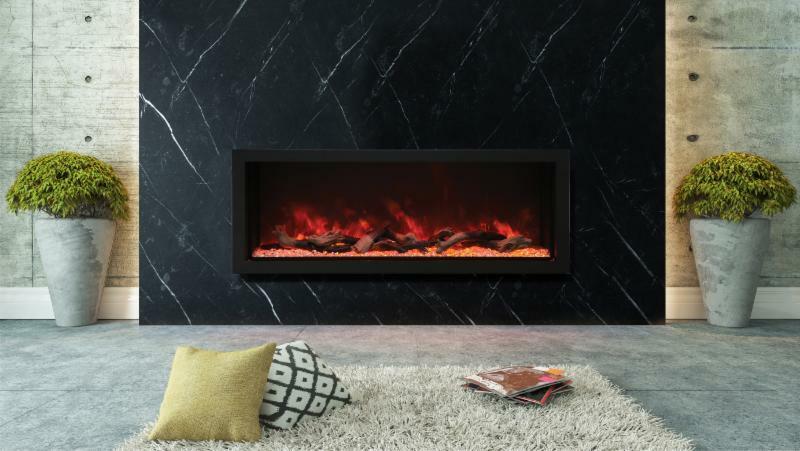 Amantii Launches a 4” Deep Electric Fireplace.